Great-Britain is a slave colony, property of international bankers, because a sovereign country creates it’s own money. The European Parliament is an advisory body: Ceremonial! Legislation comes from the European Union and the United Nations. The EU and the UN act like they give people rights, but in reality they take everything from everybody. None are more hopelessly enslaved than those who falsely believe they are free – JWvG. World leaders, including members of the media, partake of the secret Bilderberg conferences. Both Bush and Kerry are members of Skull & Bones. Left versus Right is a paradox. In reality it’s about social-libertarianism versus corporate-fundamentalism. The United States are a slave colony, property of international bankers, because a sovereign country creates it’s own money. Legislation comes from the United Nations, but the UN General Assembly is ceremonial, because the real power is with the UN Security Council. The UN acts like they give people rights, but in reality they take everything from everybody. 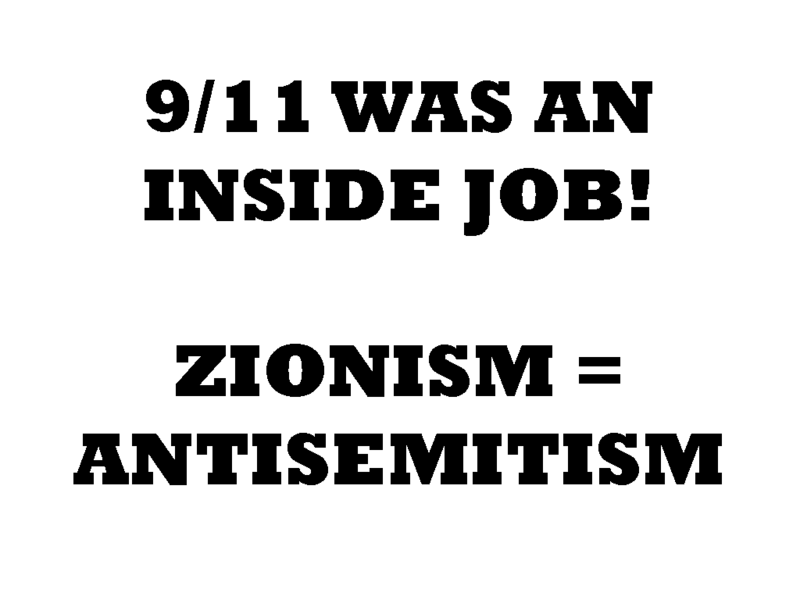 “9/11 was an inside job!”, “Zionism is antisemitism”.